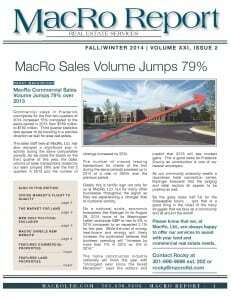 Commercial sales in Frederick countywide for the first two quarters of 2014 increased, land sales are on the rise and Frederick’s office market is experiencing a flight to quality. Frederick City continues to be recognized as a livable community, with wonderful amenities oﬀering a great quality of life. A signiﬁcant part of the city’s livability initiative is the management of dilapidated and deteriorated structures that have become icons of blight for the city. Forget about placing bets on the candidate races in Frederick County’s first charter government election, this will be a close one for many … so get out and vote!